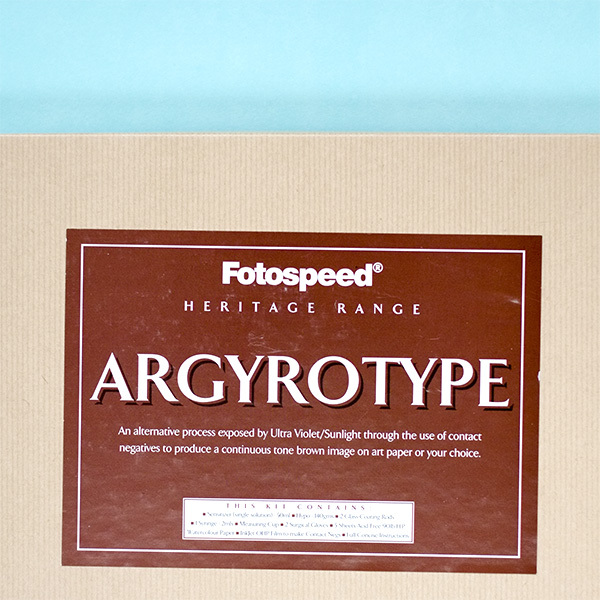 The Fotospeed Argyrotype Kit comes with everything you need to make your own Argyrotypes. In the kit you will find: 5 sheets 8×10 inch Fabriano5 HP paper, 5 sheets 8×10 inch Digital Contact Film, 2ml syringe, 50ml bottle of Argyrotype Sensitiser, 2 coating rods – one 4 inch, one 7 inch, 140gms of Hypo Crystals, protective gloves and full detailed instructions for use. Full detailed instructions for use. Argyrotype is an iron-base silver print process. Alongside Cyanotype, this process is a good introduction to alternative print techniques. It is also a useful tool to teach workshops. Another use is when you want to proof large format negatives. The prints will not have the permanence of Platinum or Palladium. However, they cost less less to produce and the process is easy in comparison. We recommend Arches Platine for use as a base paper for alternative processes.